Upon being invited by Kathy Hartley, the Reference Librarian at the Harry Sutherland Research of the Vincent Graves Greene Research Foundation in Toronto, I had the special opportunity to attend the “Canada’s First 150 Years of Philately” event at the Research Foundation on July 8. The idea for the event was the brainchild of the Philatelic Specialists Society of Canada in order to celebrate 150 years of Canadian Confederation and to highlight many of the philatelic and national events of significance in each of those 150 years. 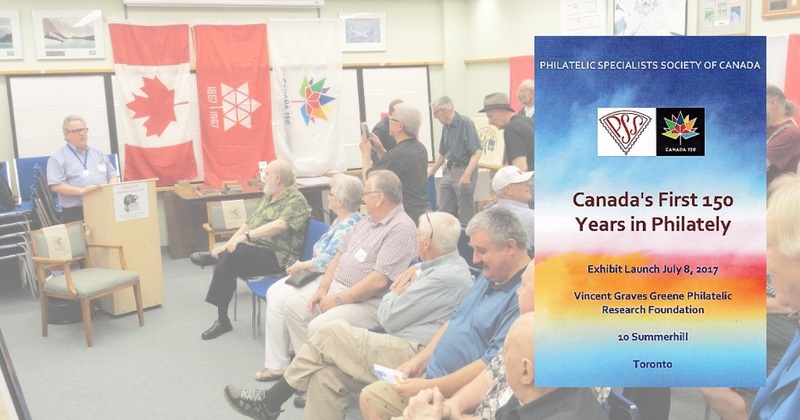 Members of the Society and other interested Canadian philatelists nationwide were asked to select a year and then put together a one page exhibit for that year, with some participants doing pages for multiple years. The result was an extraordinary display of Canadian and British North American pride and philately with exhibit pages depicting and honoring various philatelic and non-philatelic events such as the first Canadian stamps printed in Canada; CAPEX, the first international stamp exhibition in Canada; the creation of the Philatelic Society of Canada and then the Royal Philatelic Society of Canada; the development of the Avro Arrow aircraft; the 100th anniversary of the Stanley Cup; and even a page dealing with Gord Downie and the Tragically Hip among many others. After a brief ceremony the 151 exhibit pages (there was one extra page for good measure) were unveiled from underneath an appropriate draping in the shape and colors of the Canadian flag. The event took place in the meeting room of the Research Foundation and was well attended, with over 60 members, philatelists and interested onlookers present. Many of the exhibitors were also present, answering questions and providing informal explanations of their pages. While there, many attendees were also invited to tour the Research Library and to watch the Foundation’s state-of-the-art expertizing tool, the VSC6000/HS Video Spectral Comparator, in action as it examined various philatelic items. 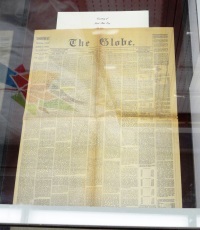 One of the added highlights of the event for this librarian was an original Globe and Mail newspaper issue (the Globe and Mail is the oldest national newspaper in Canada still in publication) dated July 1, 1867, the day of Canadian Confederation. The newspaper, displayed under glass, was in remarkable condition and represented an extraordinary piece of Canadian history. 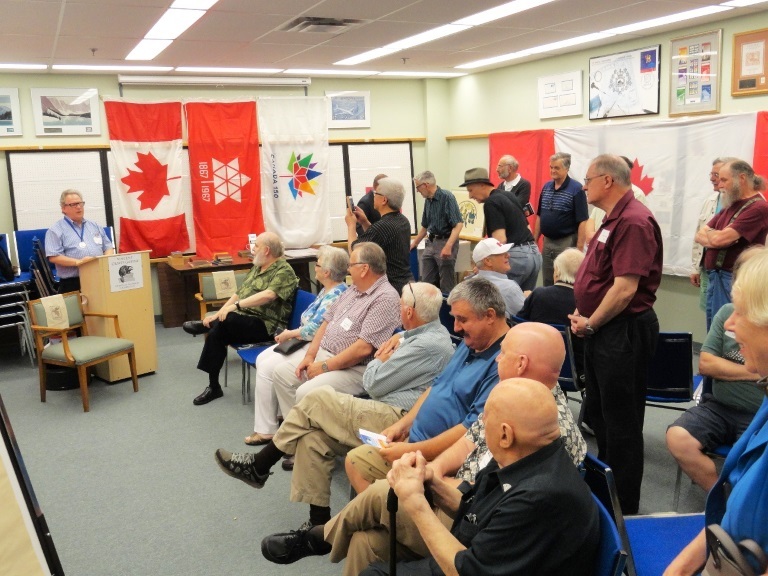 In all, the event provided not only an incredible opportunity to see and experience the rich and varied history of Canadian philately, but it also afforded everyone in attendance a remarkable moment to share in their national philatelic pride.